You'll love the subtle detail of this satin finish wedding ring, crafted in brightly polished platinum and 18k gold, features curved grooved edges for a comfortable wear. 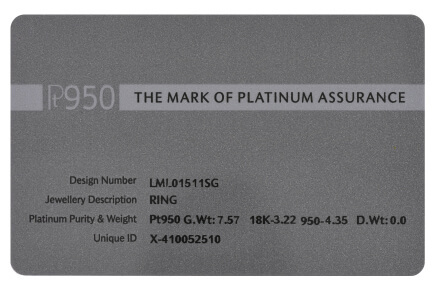 The band contains 3.22 grams of gold and 4.35 grams of platinum. For customization and other questions, contact info@rajjewels.com or speak to a LiveChat agent.